sunday night dessert: banana caramel pie! Boil unopened can of sweetened condensed milk for 3 hours in a large pot. Check periodically to make sure the water level stays above can while boiling. After 3 hours, remove from pot with tongs and allow to cool 3-4 hours in fridge. 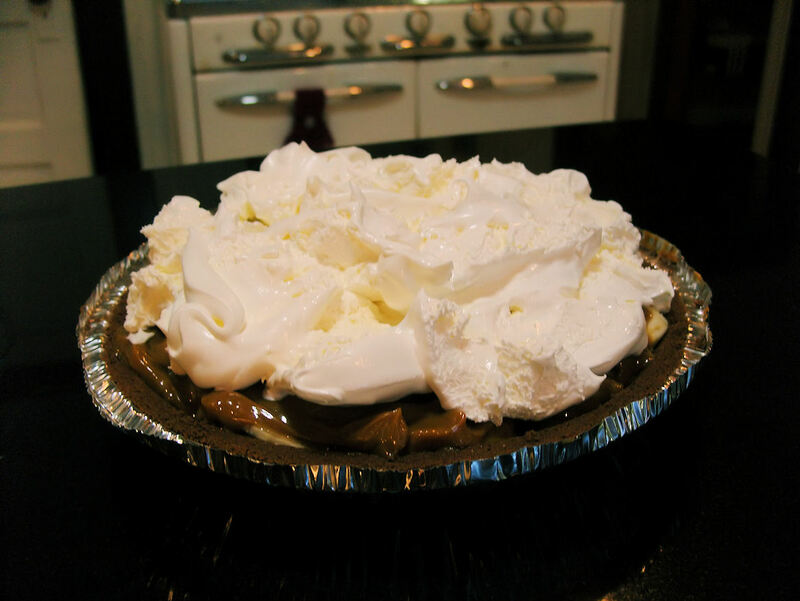 Slice bananas into pie crust. Open can of sweetened condensed milk (caramel after boiling) and spread on top of bananas. Spread cool whip on top!